This 4 bedroom apartment is located in El Poble Sec and sleeps 10 people. It has WiFi and air conditioning. 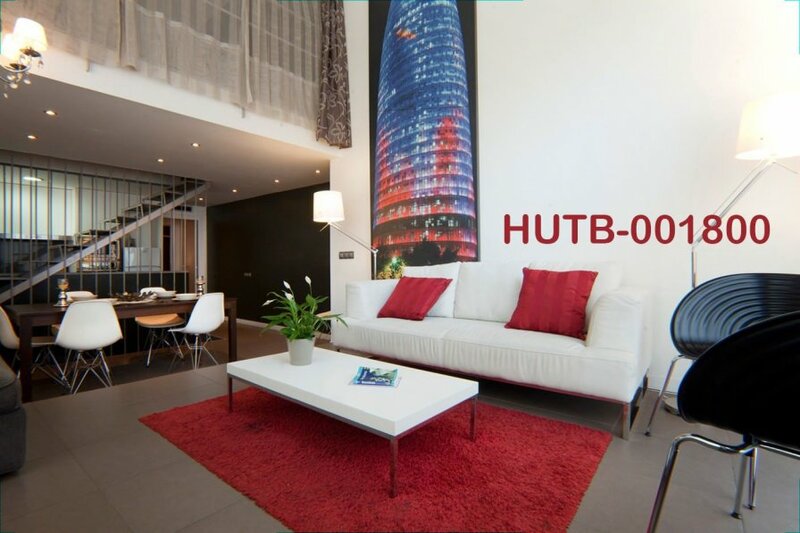 Apartment for tourist use with license number: HUTB-001800. Spacious apartment with 125m2 divided into three levels and can accommodate up to 10 people, so it is ideal for groups of friends or families who want to visit the city. It was renovated in late 2013 and has the most modern finishes. It features free WiFi, air conditioning and heating. The location of the apartment is ideal as it is located very close near the center of Barcelona and Montjuïc. Near the apartment you will find everything you need including supermarkets, bars, cafes, banks and pharmacies. You have the subway station Paral • lel to 5 minutes from the apartment, so you can easily move around the city. It is located next to the Carrer Blai, considered La Rambla of Poble Sec. There is possibility of late arrival between 00:00h and 08:00h for an extra charge of €70 paid locally and between 20:00h and 00:00h for an extra charge of €50 paid locally. Also, there is possibility of early departure between 00:00h and 08:00h for an extra charge of €70 paid locally.